With over 95 million copies of his books sold, Nicholas Sparks is one of the world's most beloved storytellers. His novels include twelve #1 New York Times bestsellers, and all his books, including Three Weeks with My Brother, the memoir he wrote with his brother, Micah, have been New York Times and international bestsellers, and were translated into more than fifty languages. Nine of Nicholas Sparks's novels-The Best of Me, Safe Haven, The Lucky One, The Last Song, Dear John, Nights in Rodanthe, The Notebook, A Walk to Remember, and Message in a Bottle-were also adapted into major motion pictures with The Longest Ride coming in Spring 2015. In 2011, he established the Nicholas Sparks Foundation to inspire and transform students' lives through education, curriculum development, and life-changing international experiences. To learn more, go to www.NicholasSparksFoundation.org. The author lives in North Carolina with his wife and family. 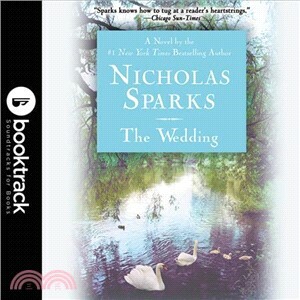 You can visit him at www.NicholasSparks.com.